With warm weather finally arriving, it's the ideal time of year to take a spur-of-the-moment road trip vacation. 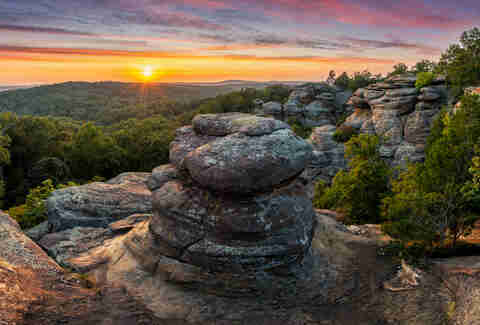 No need for security checkpoints or a black belt in airport ninjutsu, just hit the open road to any of these top getaways within driving distance of Chicago. 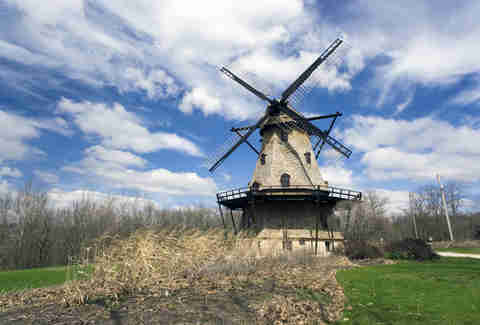 Why it made our list: An easy one-hour drive or about-the-same Metra ride provides the quickest escape from the city. 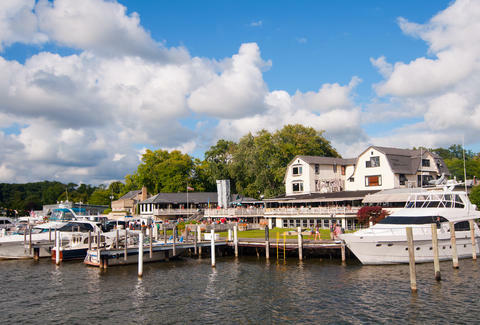 This cool little town along the Fox River has infinity outdoor restaurants tailor-made for waterfront drinking. We recommend Fiora's or Bien Trucha, but either way an overnight stay at the Herrington Inn is a must. Pro tip: Get out into Island Park for some quality nature time or take a trip to nearby St. Charles, where you can sip vodka lemonades on Salerno's on the Fox's massive outdoor patio while watching old-timey paddle wheel boats drift past. Why it made our list: While Lake Geneva may be the best known of Chicago-area retreats, at 90 minutes away you still can't beat it. 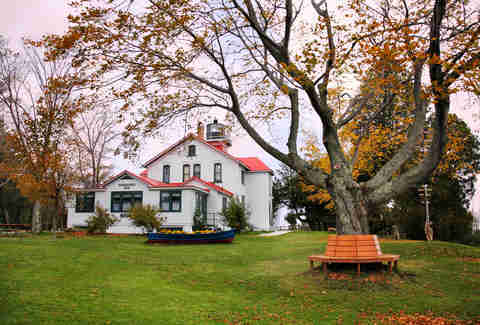 Sip cocktails at Downtown spots like the 1885 Victorian mansion Baker House, or the local dive Fat Cats, before making your way to the relatively undiscovered nearby town of Williams Bay, where you can hike the entire length of the lake shore with hardly anyone getting in your way. Pro tip: Nearby Lake Delavan offers a quiet lakeside arboretum as well as some of the finest dive bars in the state. Hogan's Goat is a locals-heavy must-visit, as is the Inn Between, where all you need to do to start the party is dock your boat. 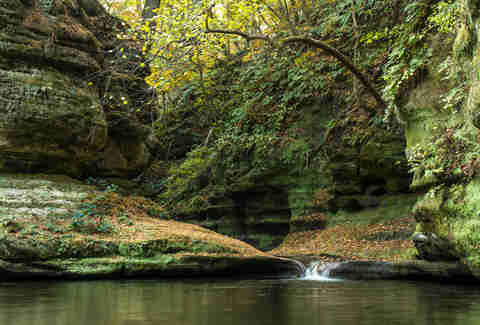 Why it made our list: This historic town, located at the intersection of the Fox and Illinois Rivers, is best known as the entryway to Starved Rock State Park, where tall bluffs and canyon waterfalls provide a unique outdoor experience. But the hard-boozing town itself is also worth a visit, especially the lively waterfront hangout Red Dog Grill. Pro tip: Escape the crowds of Starved Rock with a trip to see the equally cool bluff-side expanse of Buffalo Rock State Park. Oh, and if you're staying the night, don't even think of staying anywhere other than the Starved Rock Lodge. Why it made our list: The main attraction here is the pristine Oval Beach (cited by the Tribune as the Midwest's best beach), where you can rent kayaks, sailboats, and even do a little sport fishing. Sand dunes and paddleboat rides also vie for your attention at this Hampton-style retreat, but a laid-back meander through the art gallery-lined Downtown works too. Pro tip: Art is great and all, but even if you failed art class you'll have a chance for redemption at Saugatuck Brewing Company... where you can brew your own beer. Why it made our list: What if you could take a trip to Switzerland without, you know, taking a trip to Switzerland? Discover the next best thing in New Glarus, "America's Little Switzerland." Sure, there may not be mountains. But it's got more than enough Swiss chalets and fondue to make up for it. 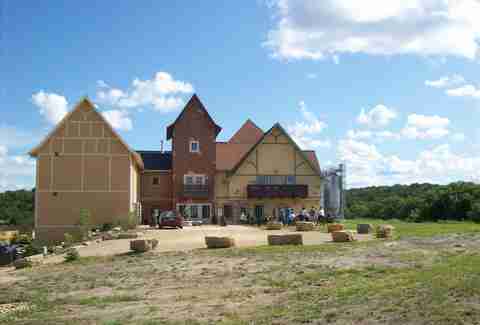 Oh, and did we mention New Glarus Brewing Company? Yeah, we thought you might like that. Pro tip: New Glarus beer is only available in Wisconsin, so stock up before you hit the state border. 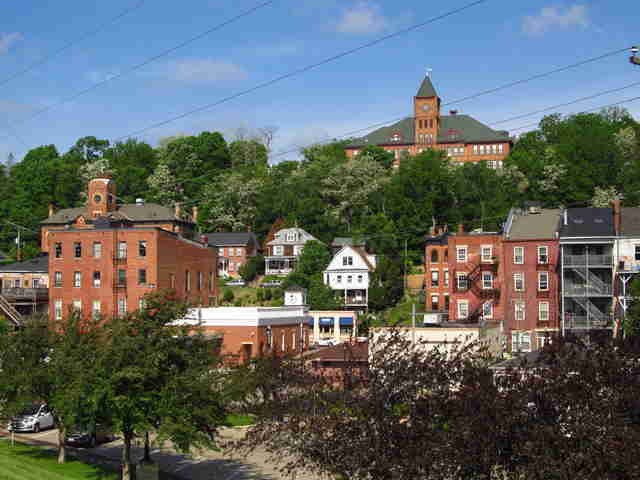 Why it made our list: As one of TripAdvisor's "Top 10 Charming Small Towns," Galena has you covered if you're into strolling cobblestone streets amidst historic mansions and hotels. If you're feeling more active, it's got you covered with rafting trips, a nearby ski resort, and bluff hikes overlooking the Mississippi River. In other words, it's got you covered. Pro tip: Stay off General Grant's beaten path (he used to live here) at the LeFevre Inn, nestled on 100 acres of land just outside of town, where you can either chill in the outdoor hot tub or paddleboard on the private lake. Why it made our list: With dozens of great little towns situated on a beautiful peninsula that's surrounded by water on both sides, there's a lot to get to here. From ferry trips, to a car-free island campsite (Rock Island State Park), to a secluded beachside getaway (Newport State Park), let's just say it's well worth the trip. Even if you have to drive through Green Bay to get here. Pro tip: There are few things better in life than sitting on patio furniture in the huge yard at Fred & Fuzzy's Waterfront Bar & Grill and watching the sun set over the water with a drink in your hand. 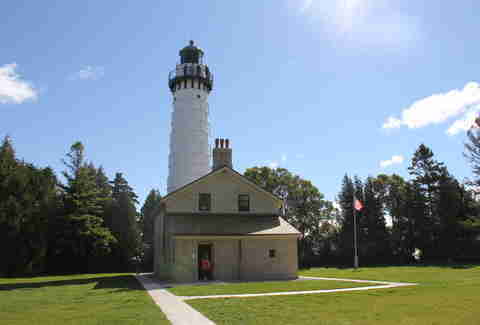 Why it made our list: Across Lake Michigan from Door County in Northern Michigan sits Traverse City, another town equally worthy of the excursion. Thirty-five miles of scenic coastline and massive mounds of sand to roll around in at Sleeping Bear Dunes National Lakeshore? Check. Willy Wonka-approved chocolate vodka at Grand Traverse Distillery? Check. 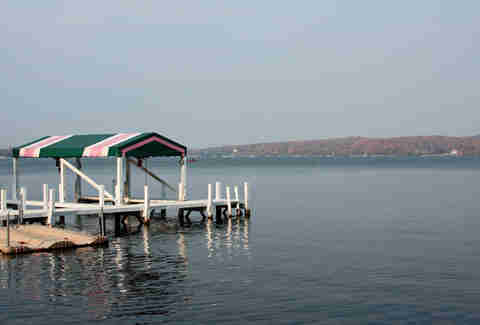 Amazing views of the Grand Traverse Bay at every turn? You bet. Pro tip: If you find yourself having Wrigley withdrawal, spread out a blanket in the friendly confines of the outfield berm at Wuerfel Park. While you may not see the 2016 champs in action, the home of the Traverse City Beach Bums, an independent baseball team, is designed to look like a resort hotel. In the words of Poison, it ain't nothin' but a good time. Why it made our list: Sometimes you really want to get away from it all. And Mackinac Island is about as far away as you can get. 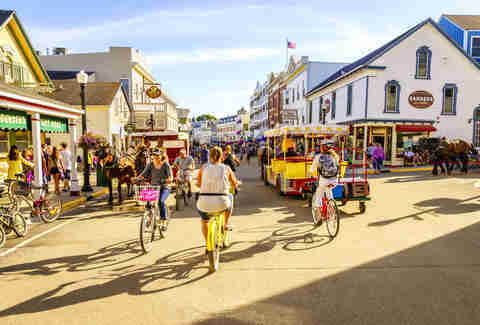 Sandwiched between the northern tip of Michigan and the Upper Peninsula, the only way to get around on the car-free island is by bike or horse-drawn carriage. With rugged, unspoiled beaches and towering white mansions, the only thing harder than getting here is leaving. Pro tip: If you don't feel like driving, you can race your sailboat the entire length of the 300-nautical-mile trip during the Chicago Yacht Club's annual Race to Mackinac. Why it made our list: While Grand Rapids gets all the attention (and deservedly so) as a beer lover's paradise, the area around the town of Sawyer in the state's southwest corner is an untapped oasis for the holy trinity of beer, wine, and liquor. 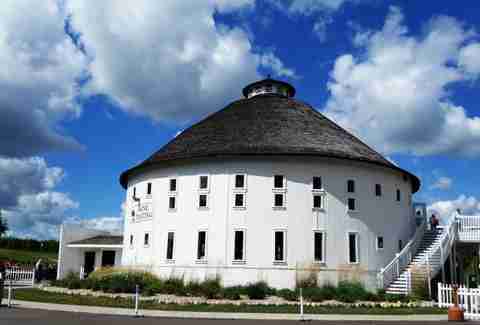 Start out at Greenbush Brewing Co. then mosey on down the road six miles to Journeyman Distillery before finishing it off with a trip to the nearby Round Barn Winery. Pro tip: After all that booze, soak up some sun at the hangover-curing Warren Dunes State Park, where you can either climb a 240ft sand dune or stroll around the tranquil trails. 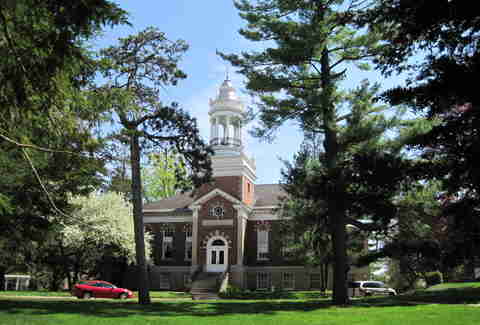 Why it made our list: Known as "the New England of the Midwest," Mount Carroll is a beautiful little town packed with historic sites like the Carroll County Courthouse (in continuous use since 1858) and the Nathaniel Halderman House, built in 1854 as the home of the town's first mayor. But you're not leaving here without checking out the charming weirdness that is Raven's Grin Inn, which some (OK, us) have called the most bizarre building in the state. Pro tip: Eagle watching around nearby Savanna while exploring the limestone caves and ancient cliffs of Mississippi Palisades State Park is a must-do, as is a trip to laid-back biker bar Poopy's to take down the massive Big Poop burger, which is way better than it sounds. 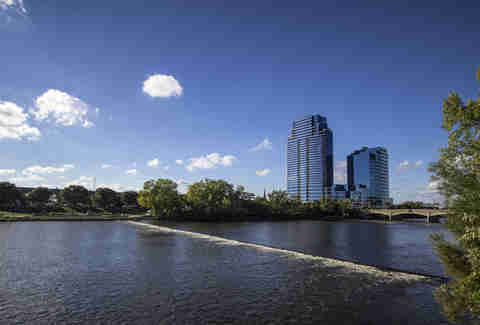 Why it made our list: Consistently making appearances on "Best Cities to Live" lists, Grand Rapids is "so hot right now." You already know about its status as one of America's best beer cities, but the hometown of Founders and Brewery Vivant offers so much more. Check out the historic homes of the Heritage Hill district, admire the cityscape along the banks of the Grand River, catch a summer concert at the Frederik Meijer Gardens Amphitheater or a comedy show at The B.O.B., or stop by Uncle Cheetah's Soup Shop to choose from a dozen made-from-scratch soups (preferably with a beer in hand). 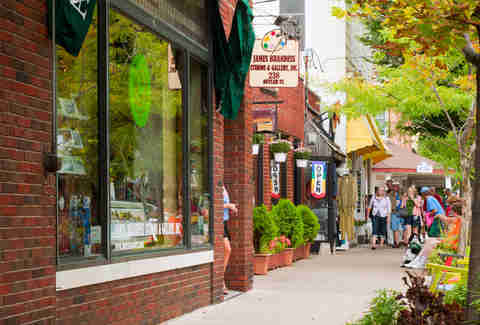 Why it made our list: While Evanston and Champaign-Urbana hog the lion's share of the state's non-Chicago attention, Carbondale is quite content to slip under the radar as one of the state's best college towns. Though the Strip near Southern Illinois University was ground zero for the infamous Halloween riots of the '80s/'90s, these days Carbondale is a friendly and relaxing area to grab a drink at places like The Cellar, PK's, and Hangar 9. Then, be sure to enjoy the surrounding nature, thanks to an astounding 14 parks in the vicinity. Pro tip: The outdoors is great and all, but when you're looking to fill your belly, nearby Murphysboro is a must, for one reason and one reason alone: 17th Street BBQ, the finest BBQ joint in the state. Jay Gentile is a Thrillist contributor and he is a big fan of the bizarre, especially when it involves mooning commuters. Follow him @innerviewmag.